Marathon Petroleum Corp.'s deal to acquire 33 Noco Express stores also includes a Noco fuel terminal in the Town of Tonawanda. Marathon confirmed the deal, first reported earlier this week, but did not disclose the terms of the deal, which still needs regulatory approval. Marathon plans to convert the Noco stores to its Speedway brand. "We are excited to continue our growth into Western New York," said Tony Kenney, Speedway's president. "The Noco Express stores have been very well-managed and maintained, and will complement our expanding presence in this region. We look forward to further bringing the Speedway brand to even more consumers in the Buffalo region." Gary Heminger, Marathon Petroleum's chairman and CEO, said the Noco deal builds on its prior acquisitions, including buying 78 Express Mart stores last year. That deal included 10 area gas stations and convenience stores. The Noco deal also helps Marathon maximize its refinery use, by adding the Tonawanda terminal to its network, Heminger said. "The terminal is well-positioned to receive supply from the Midwest, Canada or the New York Harbor via multiple supply routes, including pipeline, truck, rail or waterborne vessels and deliver our products in this attractive new market." Marathon, a publicly traded company based in Ohio, has a refining capacity of 3 million barrels of crude oil per day, across 16 refineries. 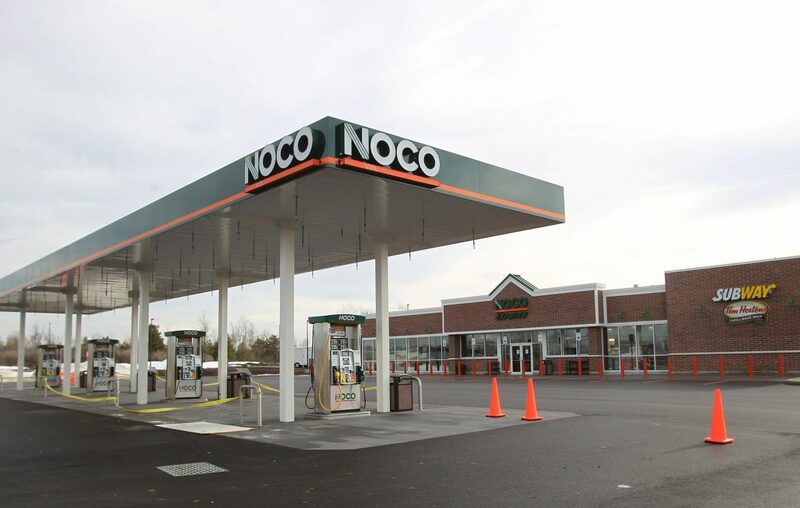 Noco will remain active in other parts of its energy business following the sale of the convenience stores and terminal. The company will focus on energy distribution, and in the past several years has transitioned into areas including natural gas and electric power, renewable energies, and energy efficiency programs and services. “This was an extremely difficult decision for me and my brother Michael as the stores and the loyal customers we have served have been such a significant part of our family for almost 40 years," said James Newman, president of Noco Energy. "However, we have determined that our future in remaining a successful business in Western New York is to turn our focus on our core strengths as an energy distribution company," he said. The Tonawanda terminal is located along the Niagara River, near the Grand Island bridges leading to and from Tonawanda.